Harm reduction is a set of practical strategies and ideas aimed at reducing negative consequences associated with drug use. Social workers provide counselling, case management and advocacy (both systemic and individual) to registered clients in our service area. The Drug Users’ Memorial Project was established in 2010 as a remembrance, healing and community arts initiative to build an 8 foot copper flame monument to commemorate community members and loved ones who have died due to the war on drugs. COUNTERfit Cooking is a community kitchen program for registered COUNTERfit service users. The mobile outreach program delivers harm reduction materials and resources to people who use drugs and live in our catchment area. 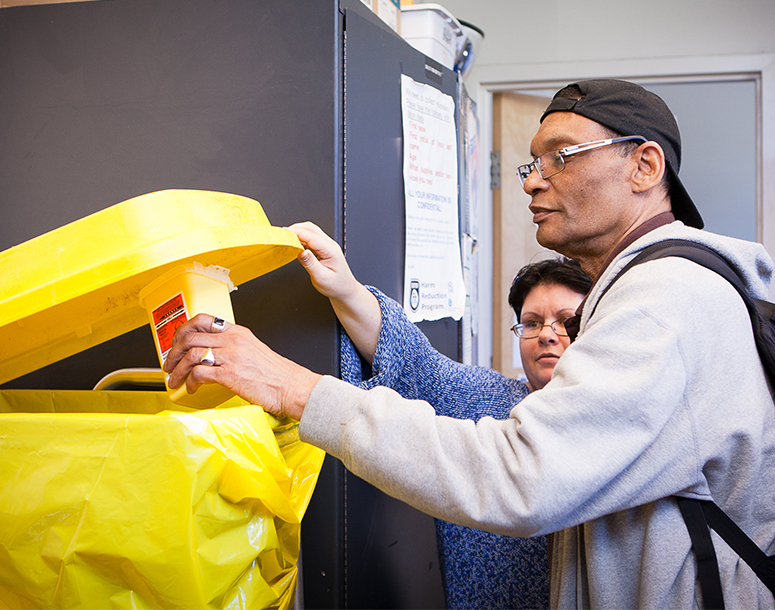 The Toronto Community Hepatitis C Program (TCHCP) is a partnership between South Riverdale Community Health Centre, Regent Park Community Health Centre and Sherbourne Health Centre.